Choosing the right estate agent to sell your home can make all the difference. We use historical sales data to help you make the right decision. An agent with experience selling properties in your area not only knows how to price them better, but will also know buyers in your area. If you want to move as soon as possible, choose a local agent with a track-record of selling quickly. This statistic highlights agents who are great at valuing property in your area, marketing them and negotiating with the buyer. It takes 2 minutes. 100% free. No obligation. 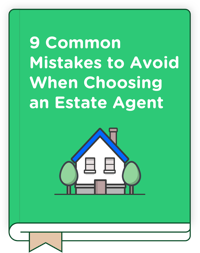 Don't pick the wrong agent! These common mistakes could cost you money and ruin your home sale!